Welcome to the last TIOT in August! This time Suzanne would like us to use 3 products + a stamp from the SCACD store. I decided to use my Iris Collage stamp. Distressed the edges on the DP, Added pearls and Maya Road chipboard butterflies. Sentiment from my friend Tammi. I also used crackle paint on the distressed DP edges. Hope you like it and will join us for the fun. It's time for a new BnW challenge and this time Kathy has chosen "Back to school". * I coloured little Princess Tales with my copics. Added a few flowers, cute little butterfly and pearls of course ;-) Here's a pic of how the box looks like when you open one of the sides. 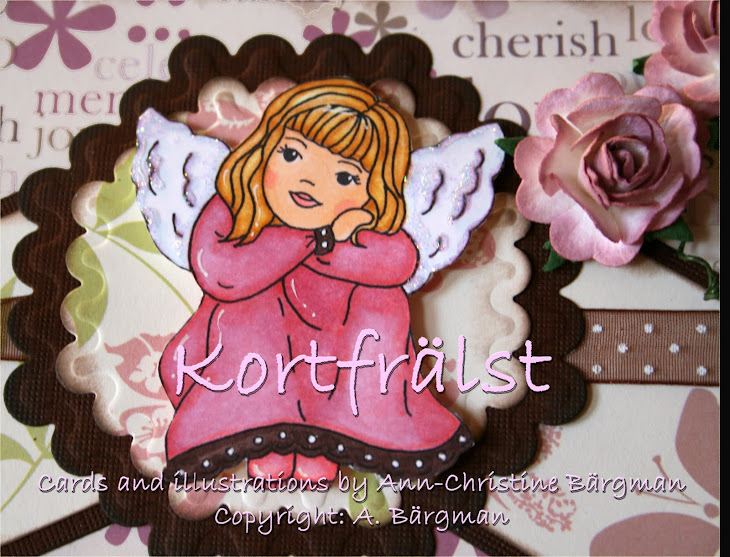 Today I have the pleasure to show you one of the new cuties from the Elisabeth Bell for SCACD upcoming release. The stamps will be available August 27th - so make sure that you get your hands on them! And here's one with the final project. Hope you'll like her as much as I do. There are more new cuties up for you to look at - if you pop over to Kim - Jacquie - Marti. There will be more cuties on display during the week - so make sure you read the details on the store blog and don't miss the candy! Stay tuned - new release coming your way! Hope you had a great weekend. Just wanted to give you a little hint about another cute release with Elisabeth Bell Designs for SCACD coming soon. So if you check by my blog tomorrow - I have a fresh new cutie to show you. And as always - there's candy up for grabs! Read more about it HERE. My sister Pernilla's brother-in-law Henric is getting married to his Caroline today! I got the honor to make the wedding card that my sister and her family will give them together with a secret gift of course. Coloured "Wedding Couple" with my copics. DP from my stash. Cut them out with my nesties. Added flowers and pearl hearts and a ribbon. Welcome to TIOT - where the theme is Stencil it! So what do you do with your stencils? 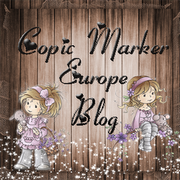 Please pop over to the SCACD blog and join us for the fun! It's Monday again and we have a new challenge for you. Today it's my turn to host the BnW challenge and I would love to see your creations using warm colours - the colours that you think of when the season is changing from Summer to Fall. 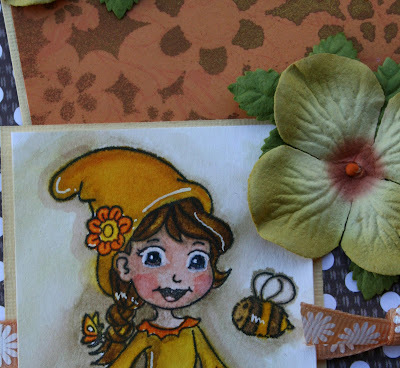 I decided to use Fairy Play and coloured her with my copics. Hope you would like to join us. Welcome to this week's TIOT. This time we would like to see one of the latest Victoria Case for SCACD stamps together with Flower Soft and Viva on your projects. I coloured little Sprite (she's only available in the latest VC kit for SCACD) with my copics. Then I thought that I should get an early start this year - so that's why I ended up with this X-mas card *lol*. I added Flower Soft between the DPs - instead of a ribbon + some Flower Soft on her dress. Then I tied a little matching ribbon from my stash and made sure that it will hold - by using the Viva Decor Pearl pen. The sentiment "God Jul" = Merry X-mas in Swedish - was on the DP. Hope you will join us for the fun! Well - here are the names of the lucky 7 (picked by Random org). I've tried to make your wish come true - but some of you had chosen the same sets - so I did a random draw if that was the case. 1. Jeanette - Kit no 7 - X-mas: "What an incredible candy you are having. How can you bear to part with your Hanglars?!! If I had to choose, I would pick the Christmas one!" 2. Stamping-Pinkie - Kit no 4 - Love: "Dear Anki,this really is an AMAZING candy! Thank you so much for offering!I would choose kit 4 (Love) followed by Christmas." 3. Paula Kit no 2 - Bee my honey: "I'm now following your, found you thru DT member Jodi! 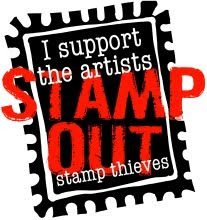 wonderful stamps, I'd love to have just about any of them :-) "
4. Lynda Kit no 1 - Baking: "Ohhhh Anki, pick me, pick me... LOL I hope you are enjoying your vacation"
5. Fusiafscrapping Kit no 5 - Key to my heart: Wow! What a wonderful candy, thank you so much for the chance to win.I love hÄnglar & stÄnglar dolls - I only got one stamp which I worship. I would like to receive your #3 #4 or 5 candy.You are already on my blog sidebar & I'm your follower.BTW your projects are absolutely amazing." 6. 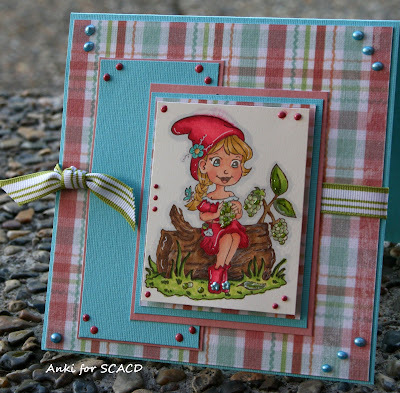 Lysa Kit no 3 - Picnic & Garden: "Wow! What a wonderful collection of candy!! Thanks so much for the chance to win- my favorite would have to be set #3 Picnic & Garden!" 7. 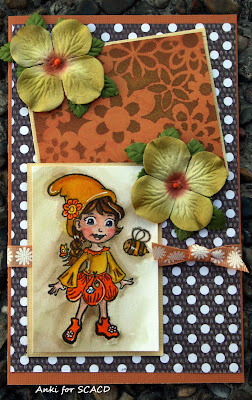 Jayne Kit no 6 - Boys and Bumblebee: "Happy birthday to your little one. What fantastic candy you have up for grabs and thanks for a lovely opportunity to own some Hanglar." Congratulations to you all! 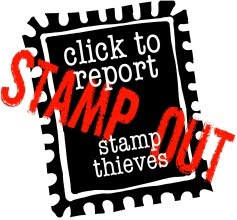 Please send me your contact details so that I can send you the stamps asap. Kram and a huge thank you to all of you for participating. THIS CANDY IS NOW CLOSED! celebrate that Isac turned 4 and to clear my stamp stock... *lol*. I decided to clear my Hänglar stash for you. Yes - the stamps have been used - some more than others, but I still hope you like what I have planned for you. The candy will be up until my vacation ends. I will pick the 7 lucky winners August 8th! What do you need in order to be able to win any of the candy below? 2. Put a link to this candy on your blog. 3. Leave a comment below letting me know which of the candy you would prefer - IF you would be one of the lucky 7. Good luck to all of you and I so truly appreciate your comments, friendship and inspiration - even though I have not had the chance to meet you in person. PS. This post will stay on top - so for new posts - please scroll down. Welcome to the very first TIOT for August! This time Suzanne has challenged us to colour Aurora using the colours Pink, Green and Blue + to use tons of Viva Decor on our projects. Added pearls made with Viva Decor Pearl and Paper Pens. Ribbon is from SU. Hope you like it and would like to play with us. Welcome to the very first BnW challenge in August - hosted by our supertalented and sweet Kathrin. Kathrin would like us to make something showing "Fun in the Sun". I decided to colour A-Merry-Go with my copics. I think she's having a lot of fun - don't you *lol*. Then I wanted to do something other than a card - so I made a post-it-note holder. It was a long time since I made one and they are always useful and appreciated as a small gift. Here's a pic of how it looks like on the inside. I covered the paper coasters (that I've purchased from the very talented Angie Juda) with the DP. Added a little ribbon and of course some roses. Well - I'm keeping the post short today - I have a few vacation days left - so I better use my time and enjoy it as much as I can and play soccer with Isac instead.